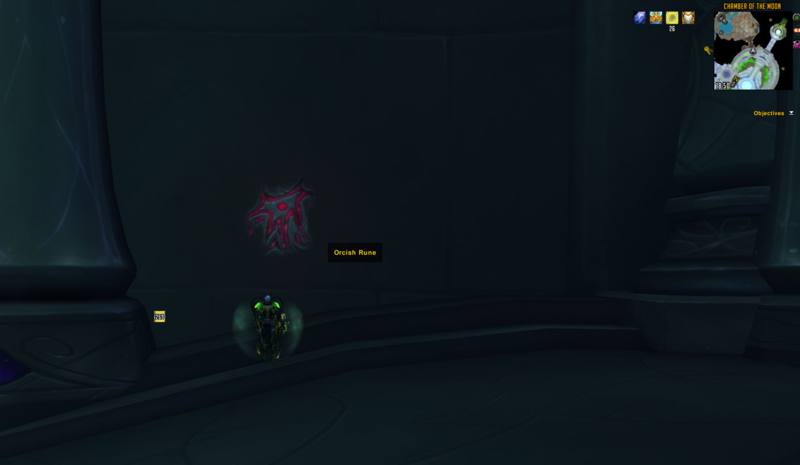 If you enter Tomb of Sargeras from the beginning and head for the large room where you fight Goroth and take a turn to the right, follow the hallway to the south and you'll find a "Orcish Rune" on the wall that is clickable. It seems you can click it once, but then it either goes into a pretty long cooldown, or needs a reset of the instance in order to click it again. Note that you can still cast your regular abilities via your spellbook, you are also disarmed so no abilities that require weapons can be used. The very fun part is that while you are in your own faction, everything else is neutral to you, it won't attack unless you attack it first. This also includes our allies... yes you can kill them, except Khadgar because he is part of the Kirin Tor, making him neutral but unattackable. Attacking the boss will dispell the debuff, but everything else seems to keep it on you for the duration.